Its transformative design allows for dynamic use. Applied offers DIY Kits and Ready to Fly models that enable the Albatross to takeoff, fly and land autonomously via predefined flight paths. The UAV’s capabilities are further maximized by adding a thermal camera for heat detection, NDVI camera for crop health assessment, or HD camera for land surveying. 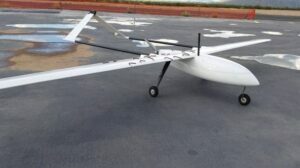 In conjunction with the launch of the Albatross UAV, Applied Aeronautics also announced the launch of its line of supporting products, starting with AppliedHD, a proprietary High Definition Video streaming device.